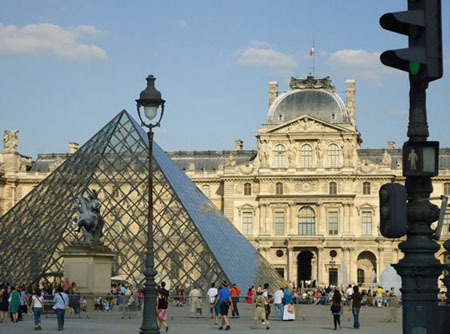 The pyramid makes a grand entrance to the classic museum. Stan & Sandra smile for the camera while awaiting our guide. 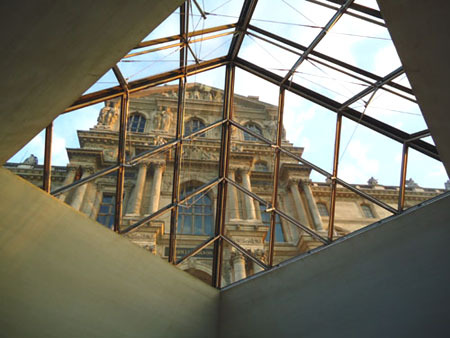 The small pyramid skylights taken from down inside the museum. 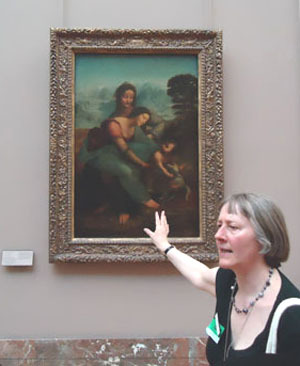 British guide & art historian Oriel Caine explaines a DaVinci painting during our privately guided tour.